The extension of "Do It Right" from Grey New York features a disgruntled Arsenio Hall and customer service reps that won't quit. Nearly a year after the debut of its first brand campaign, Ally Financial is doubling down on its over-the-top promises with five new spots from Grey New York. A continuation of last September’s "Do It Right," in which Ally employees went far above and beyond to meet customers’ needs, "Seriously Anything" takes the premise even further as Ally reps prove there’s no limit to their dedication. "We’re in a ferociously competitive industry," said Andrea Riley, chief marketing and public relations officer at Ally, an online financial services company. "Our strategy has always been to outwit, outlast and outplay our competitors. ‘Do It Right’ focuses on key human truths. It’s about forming a emotional bond with the customer that puts them at the center of literally everything that we do." The new spots include a brand anthem, featuring the absurd lengths an Ally staffer goes through to help his client save money rather than spending it frivolously. 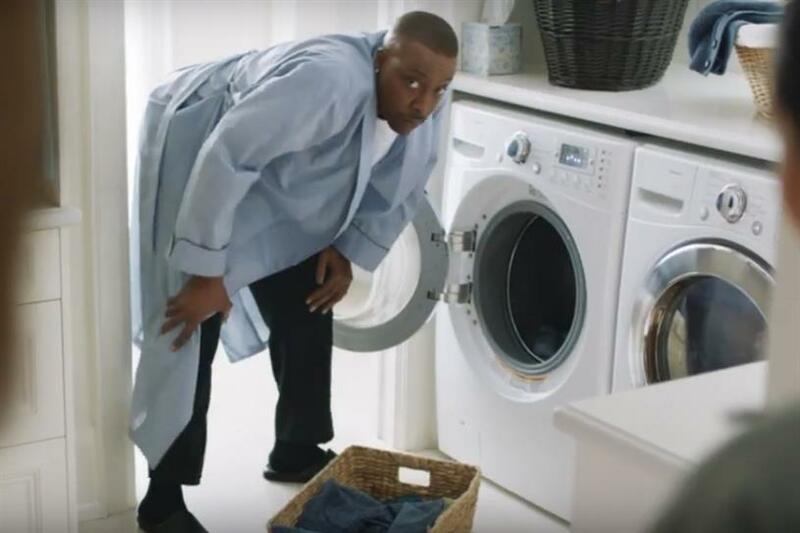 Other spots focus on specific products Ally offers—home loan, credit card, investment services—along with a cameo from Arsenio Hall in a robe and slippers. "The first round of spots was more a single-minded joke," Riley said. "People enjoyed being surprised, so the idea was to build on that and play it out a little bit more in the execution." The previous spots resulted in a 9 percent increase in brand awareness and a 42 percent increase in brand sentiment, according to Riley. While the customer base for Ally’s sales products tends to skew older, Ally is attracting 200,000 new customers per year, half of whom are millennials. That’s partly due to a new media plan, Riley said. Ally began running ads on sites that cater to younger demographics, like PopSugar, BuzzFeed and Vice. Timing has also been important. "I wanted new work ready for fall and college football," Riley said. "I like to see fresh work in the marketplace when the brand is hot. People look forward to new commercials." So there’s little rest in store for the creative team at Grey. Riley expects these new spots will run through the end of the year, but the next batch should be out in the 2nd Quarter of 2018.